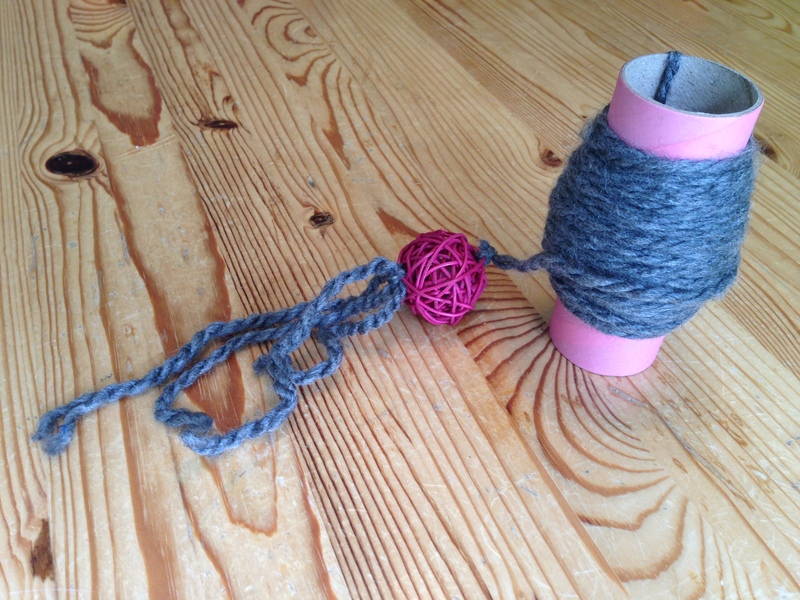 Simply Toss and Wind the nearly 30 feet of yarn. 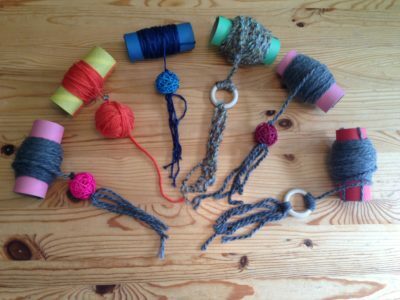 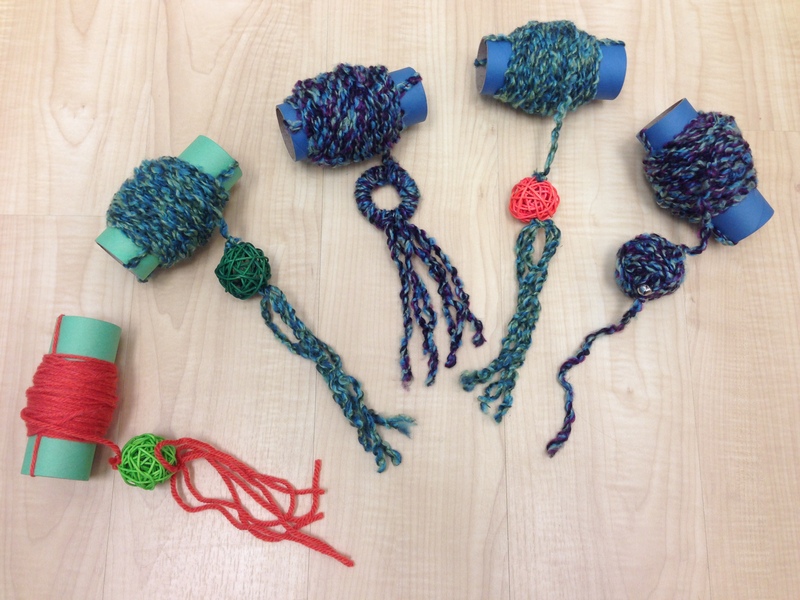 Colors Assorted-currently only available with yarn covered wooden ring attachment. 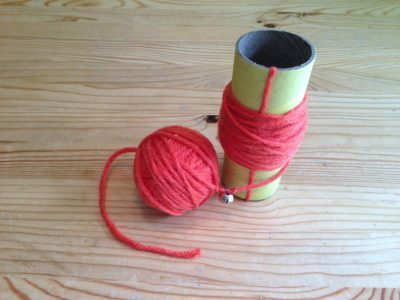 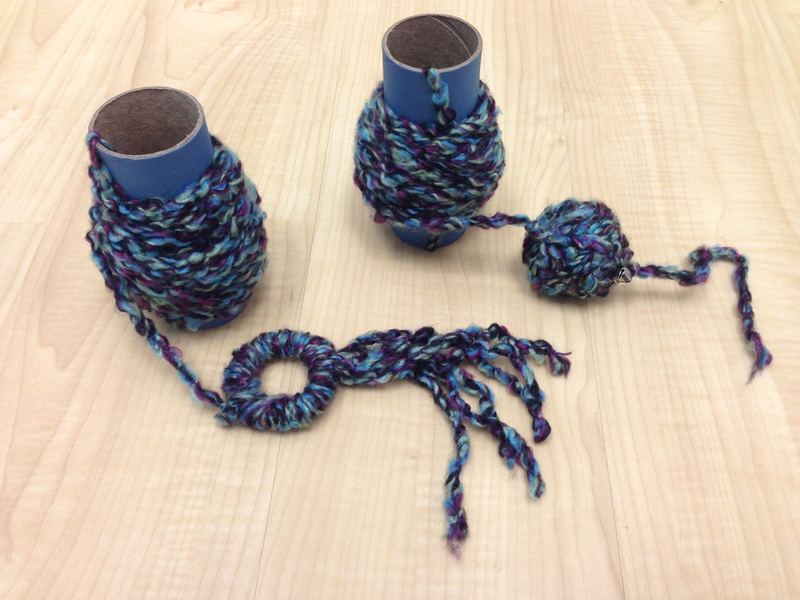 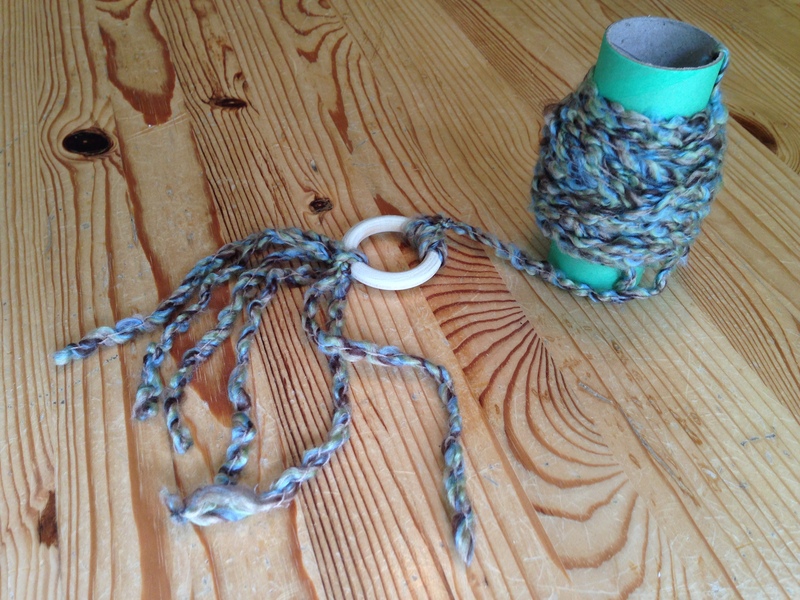 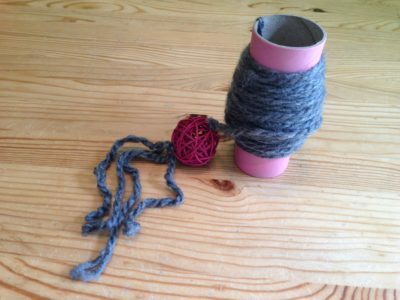 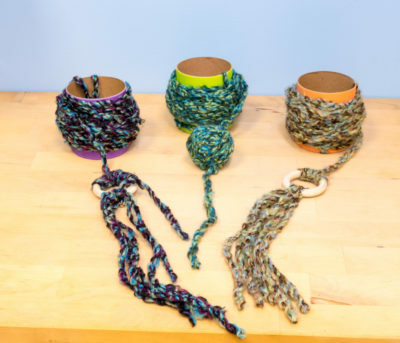 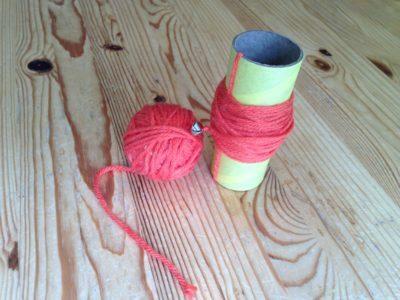 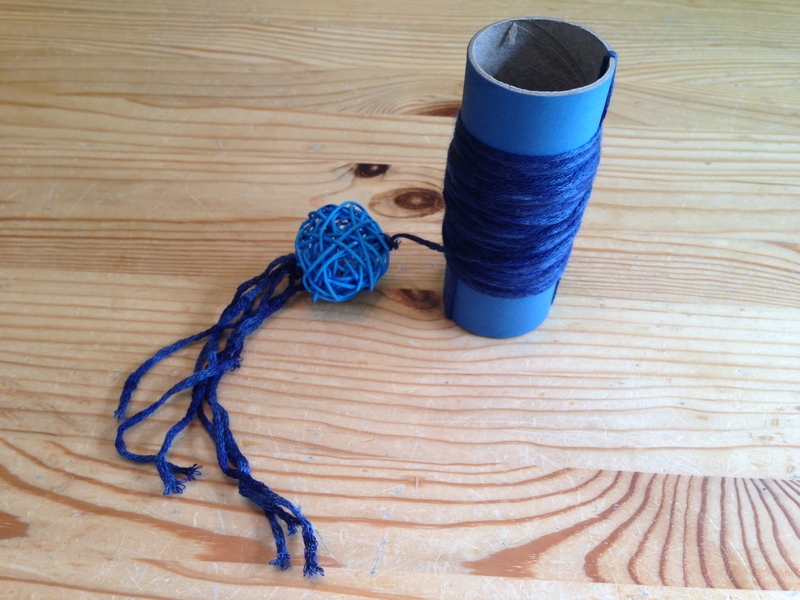 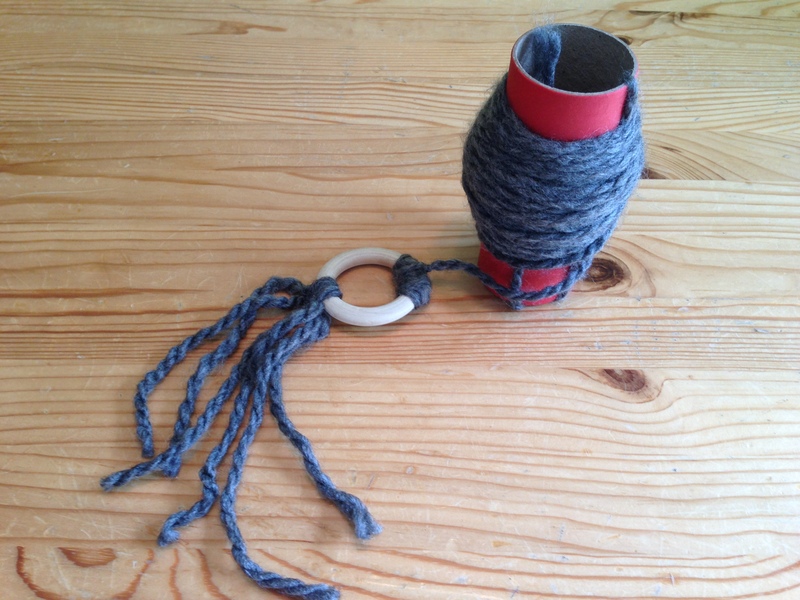 Simply un-spool the (roughly 30 feet) yarn, toss toy end as far as you can, then slowly wind the roll of yarn back around the tube. Your cat can chase the toy at the end or just play with the yarn (which is the part most of them really care about). This is a great toy for when you are laying in bed at night, watching TV or on a conference call. 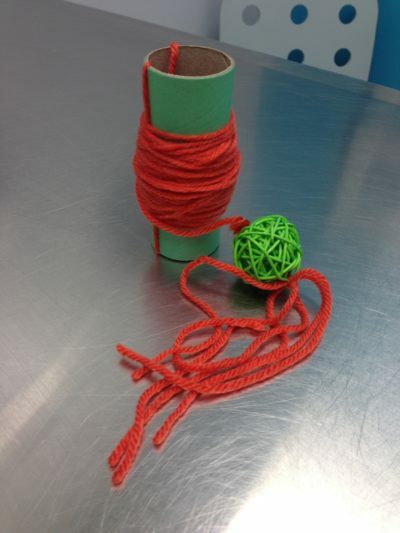 It’s EASY!! 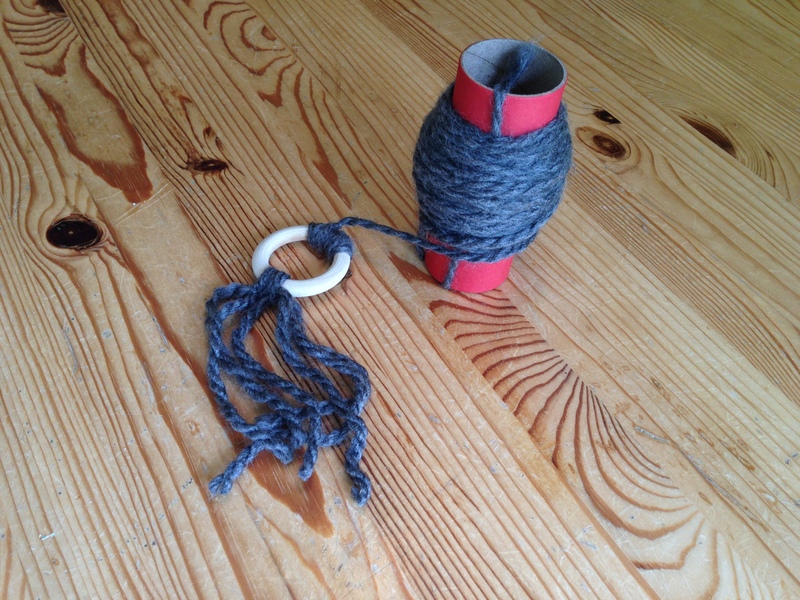 NEVER leave this toy out unattended!